On December 7th, Ben Tolman will be unveiling some of his latest works at Galerie LJ in Paris. 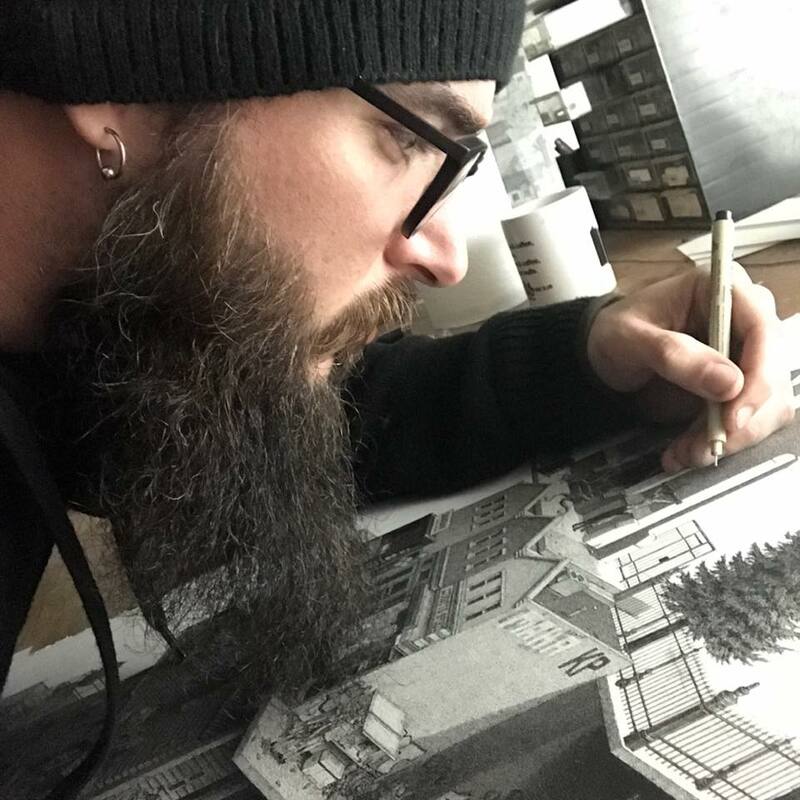 The solo show will highlight the American artists hyper-detailed ink drawings that depict the density of urban sprawl with surreal elements mixed, sometimes with impossible architectural constructs (à la M.C. Escher). We have including the first intriguing new piece from the exhibition for you to enjoy leading up to the opening next month. Categories: Contemporary Art, Low Brow & Pop Surrealism, Shows & Events. 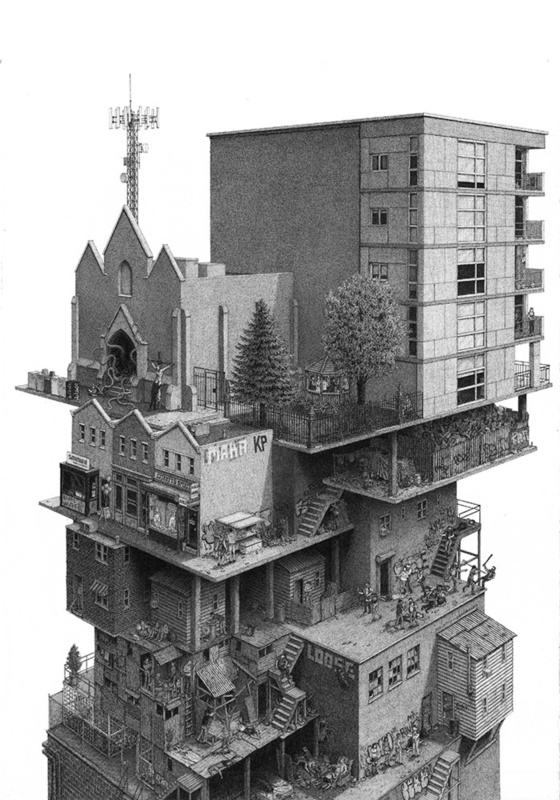 Tags: Ben Tolman, Contemporary Art, Low Brow & Pop Surrealism, Shows & Events.